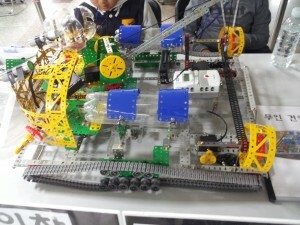 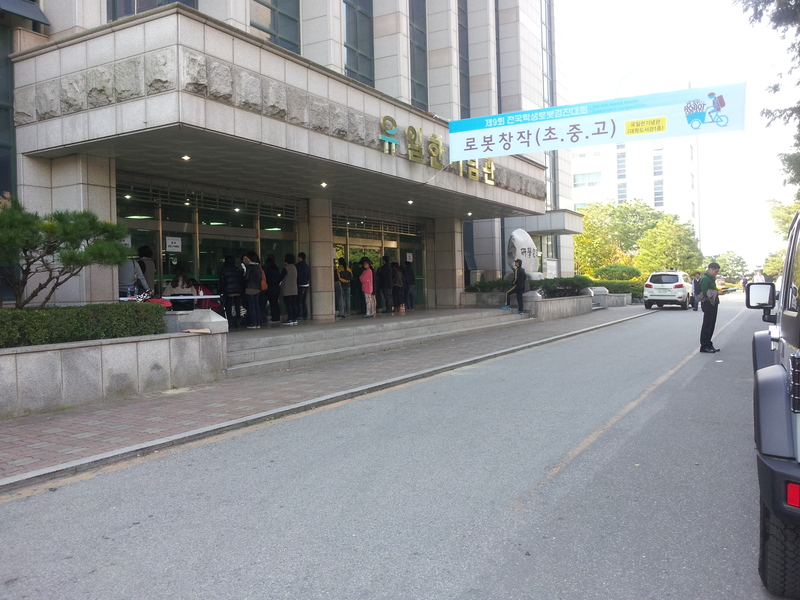 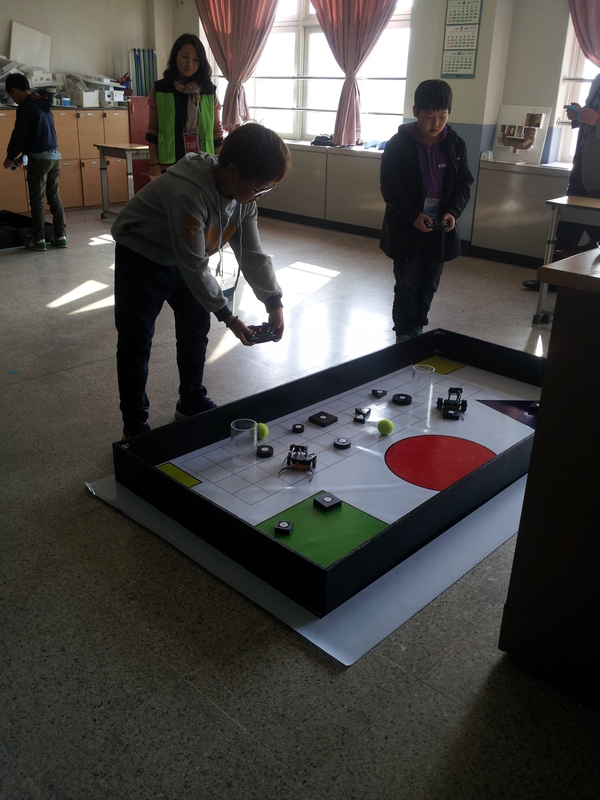 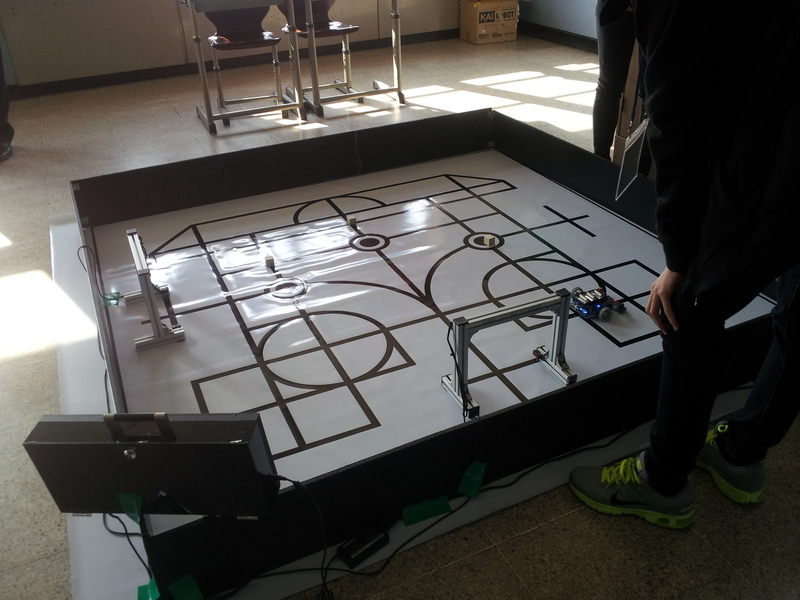 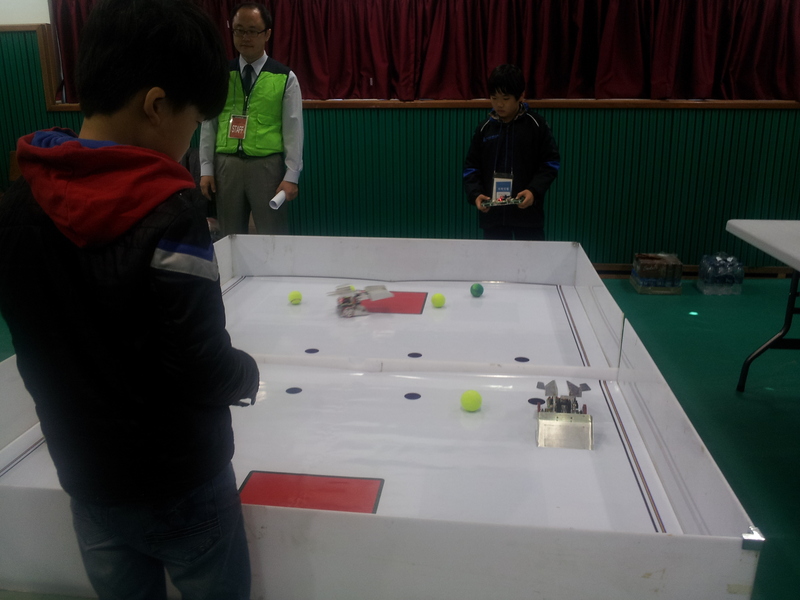 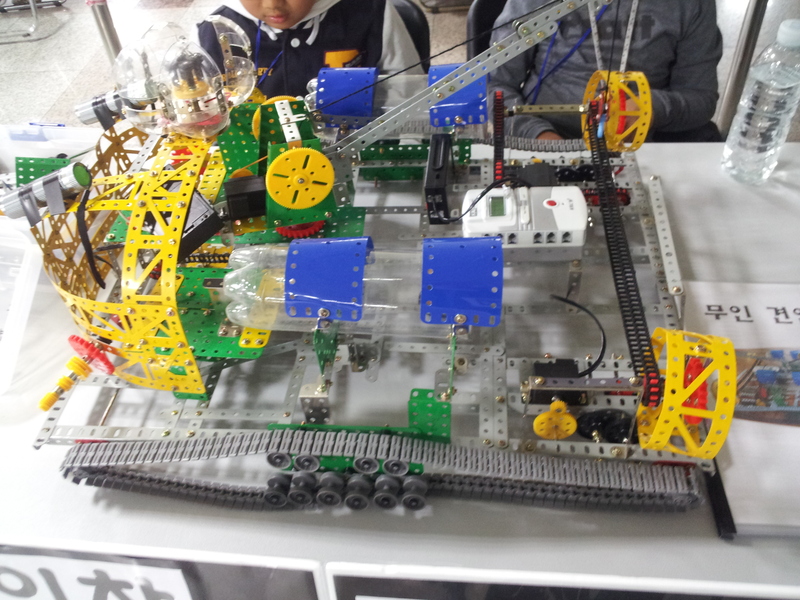 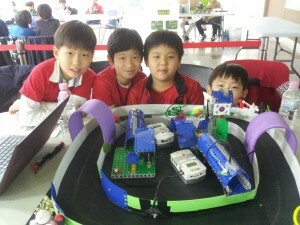 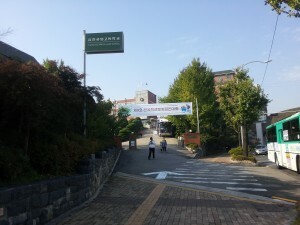 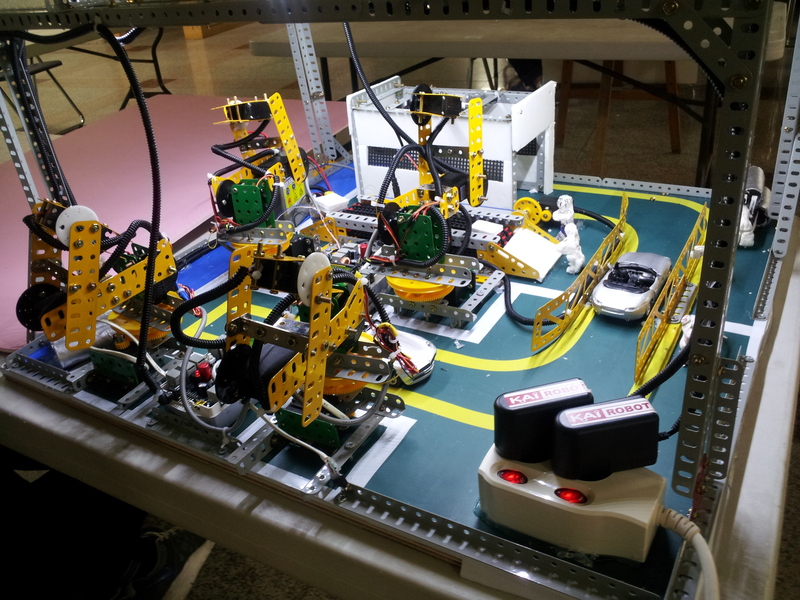 On Saturday, October 20, 2012 the 9th Korea Robot Supporters Competition was held at Yuhan Technical High School. Students from all over the country took part in the preliminary competitions held at their individual schools. 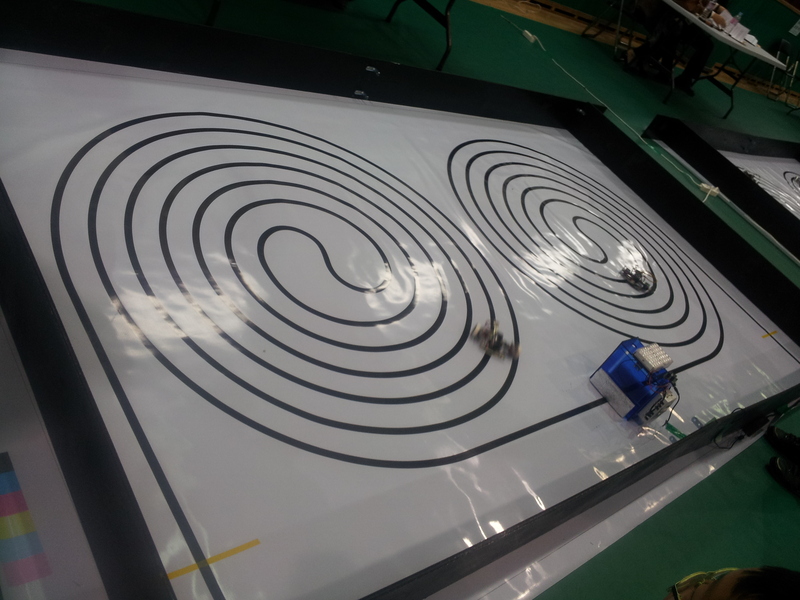 A total of 800 students participated in the finals, competing in 10 different categories including a project fair where teams presented their robots. On the way to the school there were event posters on the ground and on the street poles to make sure participants unfamiliar with the area didn’t get lost. 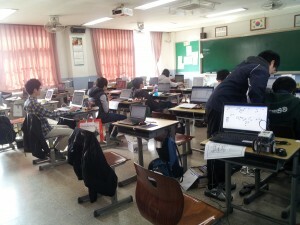 Students were given 2 hours before the actual competition to prepare for the matches after receiving the competition course maps. 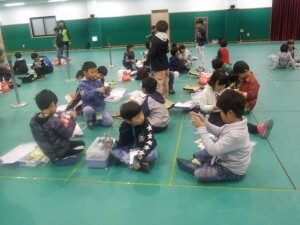 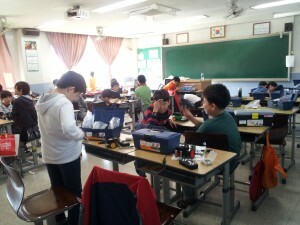 After testing their robots, students would go back into their classrooms or work areas to modify their robots and programs. 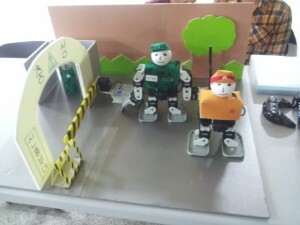 In the exhibition hall, students presented their projects to a special panel of judges who evaluated each project. 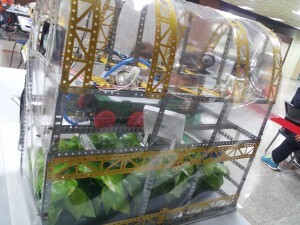 Some of the projects included an alien alert system, soldiers, a greenhouse, a car factory and a page-turning robot. 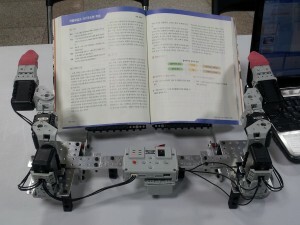 Components of KAIROBOT’s education kits were a common sight in many of the projects. Parents were asked to wait outside during the competitions to help students concentrate. 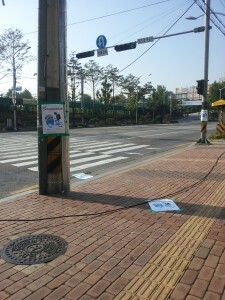 Additional info on the event can be found here (Korean).